Since I re-opened my store last spring, I’ve received several questons from customers who are interested in my copper and brass garden decorative accent pieces about patina. Particularly about some of the larger pieces like this garden weathervane and this large piece of kinetic art. Quite honestly, I didn’t know much about it. I just took it for granted that it was a natural phenomena and that when I’m choosing my own copper garden accents I always like to try to picture them with the patina they will eventually develop over time. 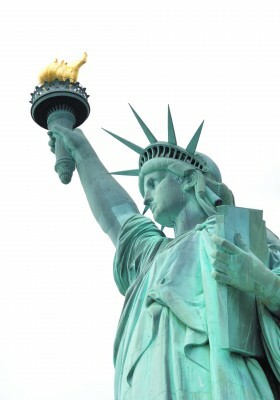 The most famous patina, at least for Americans, has to be the patina on the Statue of Liberty but there are many other statues across the country and throughout the world that haved patinaed beautifully over time. 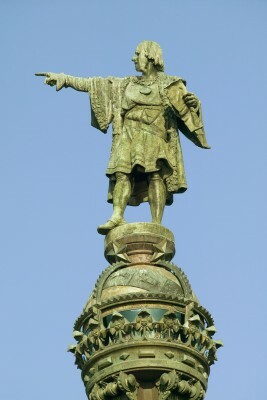 The statue of Christoper Columbus in Barcelona, Spain is another famous artwork. After doing a little research and some nosing around on various webpages, I found the information I needed but most of it was just TMI (too much information). Christopher Columbus Statue Barcelona Spain. The cemical compounds get a little confusing and frankly, I was never very good at science, most of the info was over my head. The simplist description of what it is and why it forms came from Wikipedia. Patina (/ˈpætɨnə/ or /pəˈtiːnə/) is a tarnish that forms on the surface of copper, bronze and similar metals (produced by oxidation or other chemical processes); stone; a sheen on wooden furniture produced by age, wear, and polishing; or any such acquired change of a surface through age and exposure. Patinas can provide a protective layer to materials that would otherwise be damaged by corrosion or weathering. They may also be aesthetically appealing. On metal, patina is a coating of various chemical compounds such as oxides, carbonates, sulfides, or sulfates formed on the surface during exposure to atmospheric elements (oxygen, rain, acid rain, carbon dioxide, sulfur-bearing compounds). Patina also refers to accumulated changes in surface texture and colour that result from normal use of an object such as a coin or a piece of furniture over time. That is pretty much everything you need to know however you can see the entire entry here if you wish to read all of the details. They list many other resources as well. You should expect all of your copper, brass, and other metal garden accents to patina. In the event that you wish to avoid this, be sure to give your pieces several coats of a good clear poly before exposing them to the elements. Personally, I prefer the beauty of a natual patina but as I always say, each to their own when it comes to personal tastes both in and out of the garden. Kinetic Art, is described by Wikipedia, is art from any medium that contains movement perceivable by the viewer or depends on motion for its effect. Kinetic art is a term that today most often refers to three-dimensional sculptures and figures such as mobiles and stakes that move naturally with the moving parts being generally powered by wind. Most are made of metal and copper is popular due to the beauty of the natural patina it develops over time. Watching a kinetic wind sculpture can be quite mesmerizing and very relaxing. Some people state they are conductive for use during meditation. Kinetic Spinners, as they are sometimes called, are designed to rotate silently in even the slightest of a gentle breeze. Each design is a work of art and creates a unique enchanting motion when turning. When you combine several in your garden they interact in mesmerizing ways. Kinetic wind sculptures can capture the imagination as they gracefully spin and twirl in the breeze as though perhaps taking on a life of its own. The designs of the spinning art sculptures themselves can be as simple and beautiful as seen in the first video below or be masterful feats of engineering genius such as the examples from a wonderful display that can be seen in the second video at Orcas Island in Washington State. If you are looking for a something as interesting as it is delightful to add to your landscape, why not add a kinetic wind sculpture to your yard or even several smaller designs to your garden. No matter what design you choose, you’ll find that they are wonderful conversation starters! I hope you’ll love them too! P.S. Get on my VIP customer list to find out when these works of art are on sale by completing the form on the left. If you are like the majority of middle class Americans, this year, you are probably planning to do more entertaining at home and you may be thinking that your outdoor living area is a perfect place to do it. If new outdoor furniture isn’t in the budget for this summer, maybe you can renew the furniture you already have to make your outdoor entertaining area more attractive and comfortable. Here are some easy and economical ways to update your outdoor living area. Wrought iron Furniture is pretty simple to make it look almost new. Remove existing rust with a wire brush, some sandpaper or a sandblaster if you have one. I prefer the wire brush. Using a rust inhibiting primer spray paint from your favorite home improvement center, spray the spots and allow to dry. Finish in a spray paint color of your choice. I like the new modern colors like blue, green, and yellow. A perfect update! Cedar or Redwood Furniture ages and gets a weathered and gray hue to it. Some people love the look of weathered cedar but it’s not everyone’s cup of tea. You have a couple of options here; Cedar furniture can be painted and if you want a real change this may be the way to go. Keep in mind however that should you change your mind about the look next year you’ll be in for a LOT of sanding. The other option, and my preferred method, is to stain the cedar. Use a deep penetrating, water- repellent stain, that inhibits mildew and helps preserve the cedar’s beauty. Ask at your home improvement store’s paint desk for suggestions on the right stain. Follow the directions on the can and repeat in two or three years. Mesh and Webbed Furniture can be repaired as well. I haven’t been able to locate the materials locally but you can find them online. Do a Google search for “vinyl mesh sling fabrics” or “chair webbing”. You can sand the frames and spray paint using a paint for metal finishes if you want to really want to jazz them up. Wicker and Rattan can be cleaned using a brush and soapy water and then spray painted for a fresh look. Try a new color and update your cushions. Updating your cushions. They aren’t your mother’s same old outdoor looking cushions any more. The selection of cushions is endless in styles from elegant to casual. Be sure to look for a weather resistant fabrics which are available in an array of attractive fabrics and color schemes. 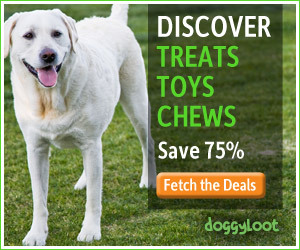 They are available at home improvement centers, discount big box stores, and of course, in hundreds of e-commerce stores. Garden Decorative Items. Why not update the decorative items in your outdoor living area as well. Consider adding a water-feature or fountain. These can be tabletop styles or can be free standing and sit directly on your patio or deck. The soothing sound of the water will ease away your stress while adding an attractive feature to your outdoor living area. Some large plants in colorful pots are a nice touch too, don’t forget to keep in mind how much sun or shade your outdoor living area gets when making your plant selections. Lighting. Last but not least, don’t forget about lighting. It’s a bit more expensive initially, but solar lighting is a great option here. There is no cost to run it and you’ll be doing something good for the environment at the same time. Solar lights come in many different styles now in everything from spot lights to strings of individual decorative lights. Invite your family and friends over for refreshments and enjoy your new outdoor living area!